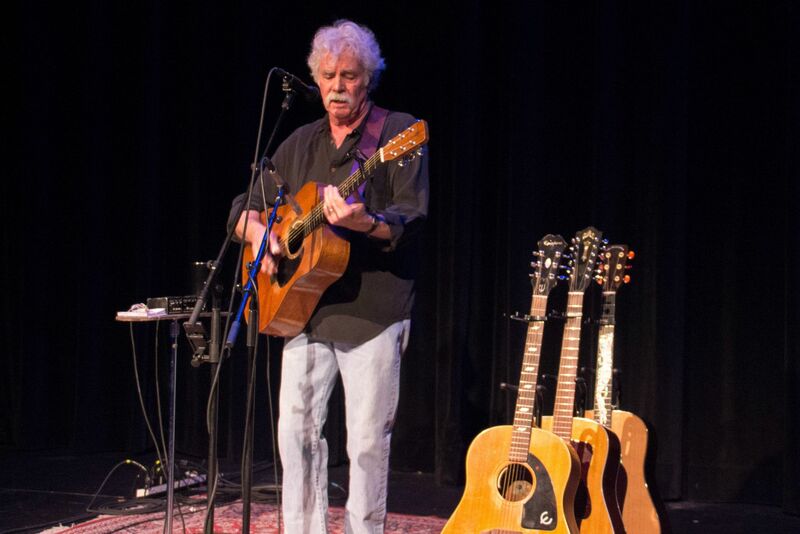 Tom Rush calls himself simply “a generalist,” a self-deprecating understatement that proved way insufficient in defining his sumptuous nearly three-hour, two-set concert at the Eighth Step on May 15th. 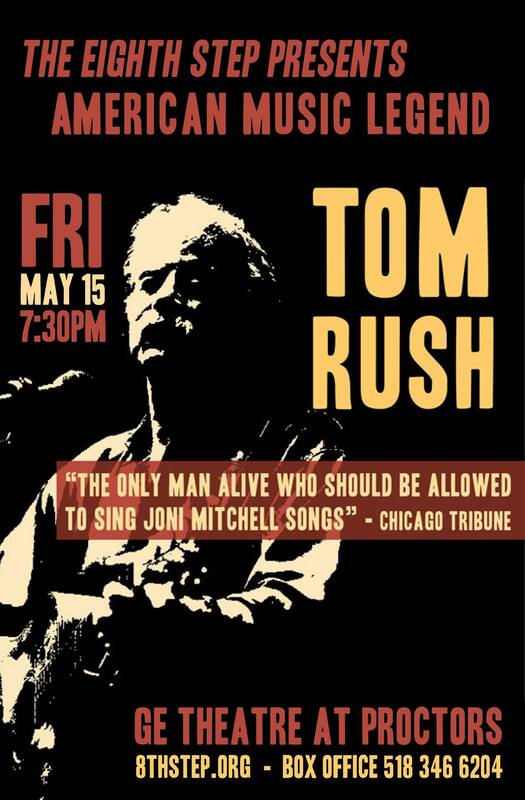 His tour-de-force performance featured his own signature song “No Regrets” from early in his career as Boston’s best voice of the ’60s folk boom and his career defining “The Circle Game” which introduced Joni Mitchell’s songwriting to the World. Crisscrossing genres, he re-invigorated Dobby Grey’s pop ode to the palliative properties of music on “Drift Away,” and encored with an energetic acoustic version of “You Do You Love” that somehow managed to inject as much potency into that Bo Diddley rockin’ blues classic as Diddley himself did in the ’50s with his plugged-in rectangular guitar. Rush joked about songwriter Lee Clayton telling him he’d written the outlaw country number “Ladies Love Outlaws” especially for Tom and then postulating that Lee probably said the same thing to Waylon Jennings who had a hit with it. He’s the best friend you haven’t seen or talked to in 40 years. You greet each other and instantly enter the infinity loop for a continuing connection. That’s what folk music does. It brings everyone into a comfy familiarity around simple shared values. Part of the way most folk acts of the ’60s eliminated the distance between performer and fans was a style – or lack of style – that put the performer and the fan on the same level. Pete Seeger was the master of this. He was by no means a polished singer and having the audience sing along became part of the show. That’s what hootenannies were all about. 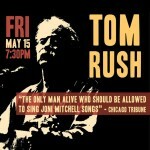 Tom Rush hones that heritage to a point of near ecstacy. 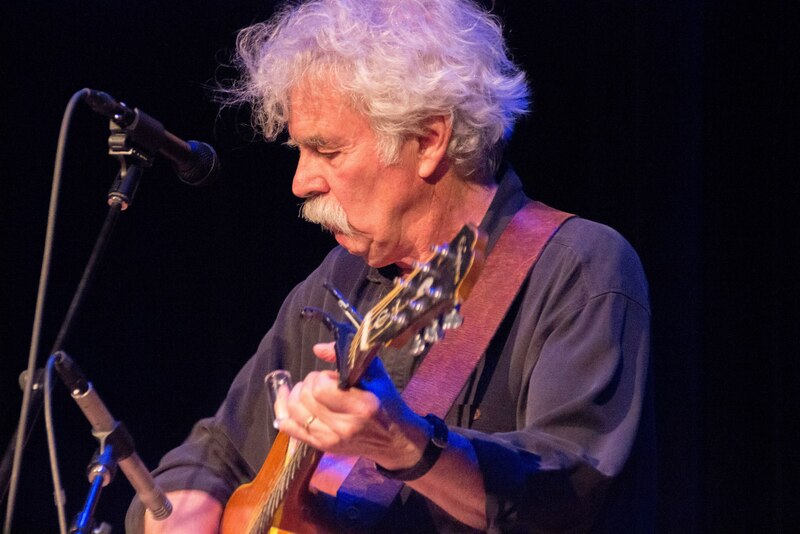 Watching him breathe new life and meaning into old songs that are part of our collective consciousness from a wide variety of genres, we can easily imagine that he’s Mark Twain addressing us from beyond. His creamy baritone and crystal clear enunciation focus a new light on the lyrics of songs whose originals we’ve reduced to mere melodies we can’t get out of our heads. 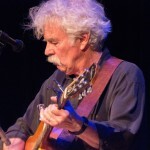 He even looks like Twain with tousled white hair and curling mustache. His understated reflections between numbers never speak to us or at us, but rather draw us into his view of the world like the avuncular uncle who has just returned to our lives after a long absence. His time away disappears in a conversation left dangling from his last visit decades ago. Rush’s concert featured “Fall into The Night” by Eliza Gilkyson, a very current Americana singer/songwriter. With a wink, he admitted he’s changed some of her words in the end that are more metaphysical because he’s more focused on the lyrics, “So, baby, take your blue jeans off, and lay your body down.” That number is on his most recent album What I Know, his only studio LP of new songs in 30-some years. He did the title song which he says he wrote as a love song for his wife when he was on tour during her birthday and felt an email photo of a box of chocolates just might not cut it. 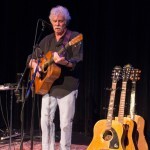 He also did a couple of new songs that have come during a recent unprecedented run of songwriting. Don Wilcock is a freelance writer, Senior Editor of The Audiophile Voice Magazine, and a Contributing Writer for The Saratogian, Troy Record, Nippertown, and The American Blues Scene. He is also a Contributing Editor for Blues Music Magazine (formerly Blues Revue Magazine) and a recipient of the The Blues Foundation’s “Keeping The Blues Alive in Print Journalism” Award. Published with permission of the author.